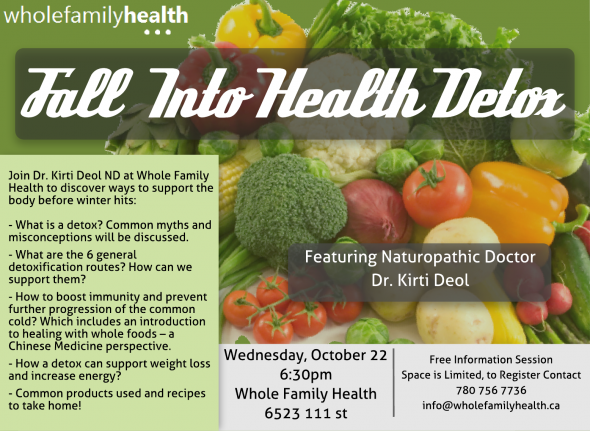 Join our Naturopathic Doctor, Dr. Kirti Deol ND at Whole Family Health for a FREE talk and discover ways to rejuvenate the body before winter hits! Are you chronically ill during the winter months? Tired? Do you have trouble shedding weight? Digestive Issues? What is a detox? Common myths and misconceptions will be discussed. What are the 6 general detoxification routes? How can we support them? How to boost immunity and prevent further progression of the common cold? 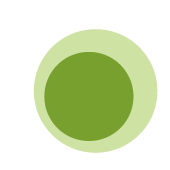 Which includes an introduction to healing with whole foods – a Chinese Medicine perspective. How a detox can support weight loss and increase energy? Common products used and recipes to take home!